 With the SA’s biggest kids’ bike ride looming (OK, so the Cape Town Cycle Tour Junior is not meant to be a race, but, you know how it goes…), what better time to get your precious out and on the pedals? Liza West has been there, and shares the how and the why. Pedal, pedal, pedal! Keep it straight, keep it straight! Balance, balance! Teaching a kid to ride a bicycle is easier in theory than it is in practice. “It’ll be fun!” they said. Well, running bent double over a pint size bicycle, while trying to keep it, and the little cyclist, from toppling over, is not fun. But the end result always is. I have been lucky (or unlucky) enough to experience teaching both my children to ride their bicycles. My daughter received her ?rst bike at the age of two. It was a balance bike with no pedals – a genius invention teaching little ones the art of balance (which, in my opinion, is the one thing you need to be able to do to learn how to ride!). She paid no attention whatsoever to that awesome bike. When we bought her a pedal bike at age four (fairy wheels included), she began to show a little more interest. Generally cautious, our daughter would scream at me not to ever let go of that saddle. Her paranoia about pedaling alone was so intense that she forgot to pedal at all. My husband couldn’t take the stress. Many sessions and many crying ?ts (me included) later, I got fed up with the fairy wheels and decided they needed to come off. Cue a few more ?ts, but a lot more freedom. I took her to the nearby soccer ?elds so that if she fell over, it wouldn’t be too bad. I drilled the concept into her – pedaling makes the bike move, a moving bike is easier to handle, keep the handlebars straight, look where you’re going, just keep trying, don’t forget to brake! Eventually, something switched. She just got it and off she went. All the frustration and tears were forgotten in an instant. That moment they pedal off on their own is the most exciting 30 seconds of your life. My son, on the other hand, could not have been more different. He tore up the house and the streets on his black motorbike, so much so that he cracked a back wheel, but that didn’t stop him. Big sister’s barely used balance bike got handed down to him and he cruised on that thing with his feet up on the sides, balancing on it as if he’d been born to do it. When he was three and a half he insisted he needed a pedal bike like his big sister. Every time we went into a sports shop, and didn’t leave without a pedal bike for him, he’d have a complete breakdown. Then one day, daddy came home with his new pedal bike (fairy wheels not included). I’m not even kidding when I say that we took him up and down the street about 10 times before he was pedaling on his own. This time it was a lot less stressful for my husband to be involved. Now both our children have the freedom of riding their bicycles, which has to be one of the best feelings in the world. There were many times with my daughter, when I wanted to give up completely with her. And I think she felt the same way. When I could see her con?dence dipping and my patience was scraping the barrel, I’d leave the riding lessons for a few weeks, until I felt that we were both ready to try again. My one concern was that I didn’t want to put her off for life, I wanted her to want to ride, to love it as much as I did when I was a kid. It wasn’t easy. But it paid off. Today, she rides with this crazy con?dence that still surprises me. When we go to the bike park, it’s the steepest hills and the bumpiest tracks she wants to race on. So in a nutshell, the only way to get your kids to love riding is to make sure that you keep it fun when they’re learning. The minute it gets military is the minute they’ll switch off and not want to even try. As you can see from my experience, every child is different, so approach it that way. And good luck! There are many cool and safe places in Cape Town for them to explore and ride. Here is a small selection. Designed by Chris Nixon (a former downhill champ), the Bike Park features a range of cross country tracks spread out over 3.5km with an option for all levels of riders from beginner to advanced. You can also hire bikes at the shop and sign up for skills coaching. www.bikeparkatuitsig.co.za. The Pedal Power Association has built a pump track at the race course, as a lasting contribution of the Mobility Indaba that was held in in October 2016, and will be open seven days a week at no charge. Take your kids (with a bike) and let them get a workout and some skills practice on the pump track. If you have any cycling kit or even an unused bike that you no longer need, please bring it along. The PPA will ?nd a good home for all of it.